Laminated glass is a type of safety glass that holds together when shattered. In the event of breaking, it is held in place by an interlayer, typically of polyvinyl butyral (PVB) , between its two or more layers of glass. The interlayer keeps the layers of glass bonded even when broken, and its high strength prevents the glass from breaking up into large sharp pieces. This produces a characteristic "spider web" cracking pattern when the impact is not enough to completely pierce the glass. Color Clear/Low iron/Green/Blue/Grey/Back Painted Etc. 1. Safety:The PVB interlayer withstands penetration from impact. Even if the glass cracks, splinters will adhere to the interlayer and not scatter. 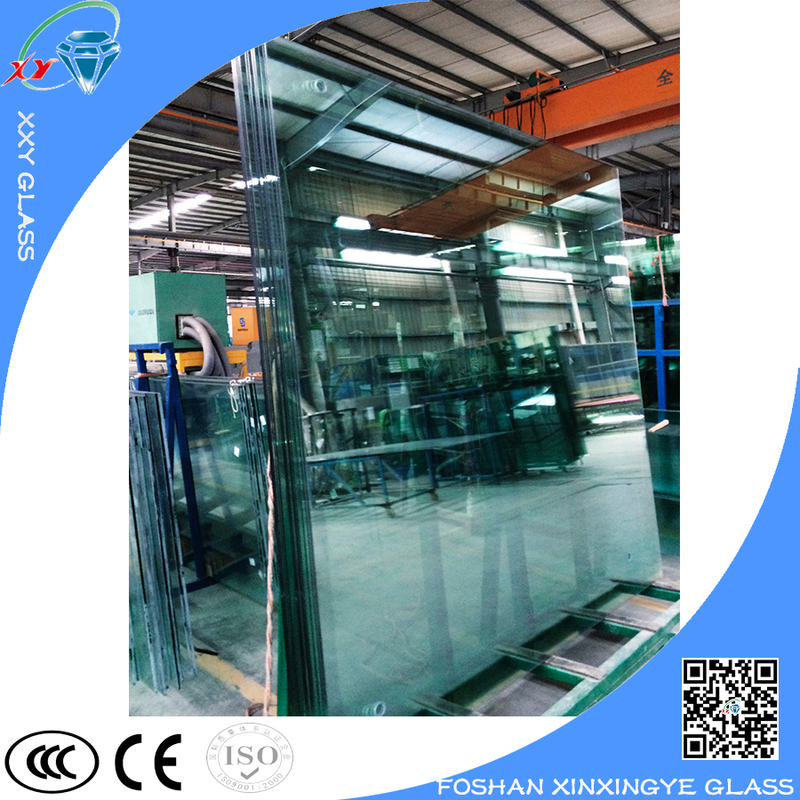 In comparison with other kinds of glass, laminated glass has much higher strength. 2. Sound Insulation:The Pvb film blocks sounds efficiently.It is able to lower the noise. 3. Energy-saving : PVB interlayer impedes the transmission of solar heat and reduces cooling loads. 4. Decorative:Laminated glass with a tinted Pvb interlayer will beautify the building for a decoration. 5. Ultraviolet Screening: The interlayer filters out ultraviolet rays and prevents the furniture and curtains from fading effect. 5) 6 automatic fourl edge polishing machines can produce 3 million m2 per year. 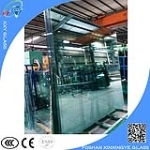 of the glasses through a washing machine to remove any dirt or stains, proceed to make the Assembly of the glass with PVB. After this, the glass and PVB go through a heating furnace where will arrive at an approximate temperature of 70 degree,eliminating the air between the glass and PVB being bonded with each other, finally passed to the Autoclave where they are subjected to controlled conditions of temperature and pressure, to achieve a total adhesion of glass and PVB.